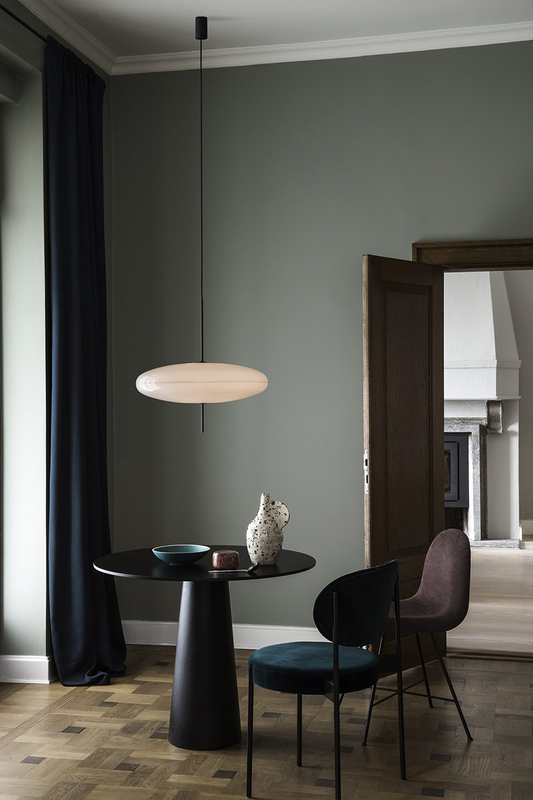 I really like this scene and styling, an image created to showcase this pendant light called model 2065 designed by Gino Sarfatti. You may see this on display at 3 Days of Design in Copenhagen this weekend, if you are planning to attend anyways. The grey/green walls and dark details accentuated by deepened shadows and careful ceramics, it's just so beautiful. I also feel quite partial to this table, a timeless design that feels immediately sophisticated.